It's hard to believe we are into 2018 already. It's been squirrel headquarters at my house. The backyard kids are great and I am working hard on keeping up with the club. Calls about baby squirrels come through every spring and fall as well as health questions in general year round. I do my best to direct everyone to good information. Lots of stuff is ahead for members. Have a Squirrelly Day! Click on the podcast above and drag the button to minute 24, I am the next caller in line. Enjoy! Check out my radio interview about Squirrel Awareness Month. Click on the link below. Enjoy! ﻿﻿Happy National Squirrel Awa﻿reness Month! Thanks to all those who have visited our site and for sharing your positive feedback, ideas and suggestions. I will be adding some new pages in the coming weeks that I hope will include Squirrelly Photo Of The Week, Archive Stories and Articles from In A Nutshell Newsletter and Blogging with the Gang from Shirl's Nutty World. Have a Squirrelly Day! The latest two newsletters are in the mail for all members. Everyone should have them by the end of this week. I hope everyone enjoys the stories, pictures and cartoons. And I am already working on the next issue. Providing I don't get distracted by a squirrel, club duties will be caught up soon. As always, thank you for your support. Taking over TSLC has been a lot of fun. I've had the chance to talk to a lot of wonderful members and make new friends. It has also been a true learning experience in balancing what needs to be done for the club while dealing with real life issues. Since I took over the club in January 2013, I lost a very dear family member to cancer and more recently I was in a terrible vehicle accident that was no fault of my own. I am still on the road to recovery from the accident. But I am getting better. The next two newsletters for the members will be in the mail within a week. I owe everyone a lot for their patience with me in taking over the club at such a hectic time in my life. I want to thank everyone for their kind words of encouragement, special notes and well wishes. Please don't hesitate to call or e-mail me with any questions about the club. 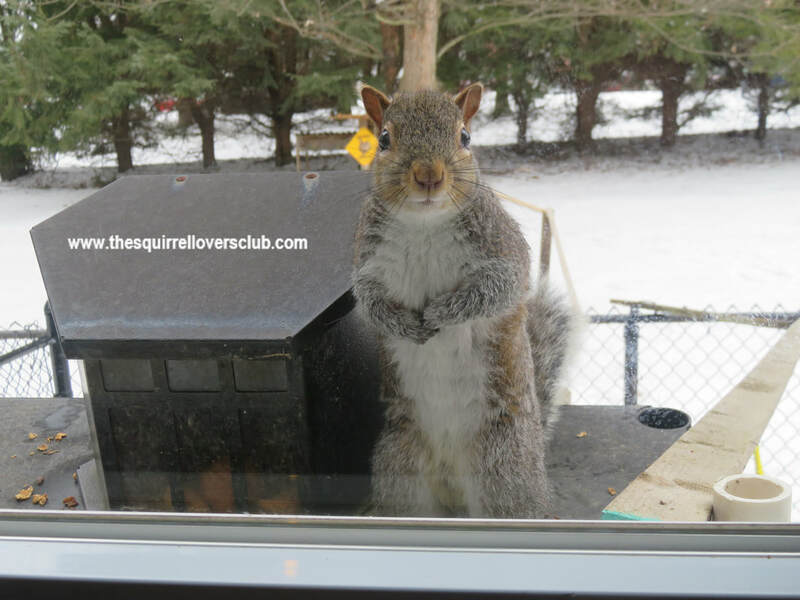 My name is Janet Allgood and I am the President of The Squirrel Lover's Club and I Love Squirrels!